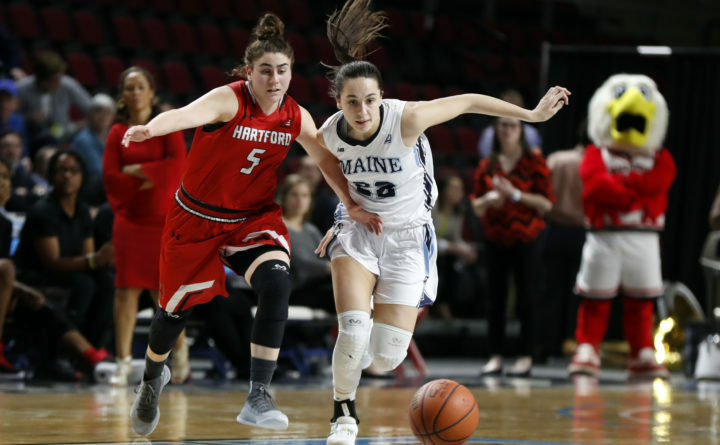 Game notes: UMaine has won three in a row while UNH has lost five straight and 10 of its last 11. The Wildcats have been decimated by injuries. Top scorer and second-leading rebounder Ashley Storey of Cumberland and Greely High School (17.1 ppg, 6.1 rpg) has been out for six games and will be sidelined for at least six weeks with a foot injury and Providence College transfer Maggie Ahearn (8.7 ppg, 6.6 rpg) has played in only nine games due to injury. UMaine has won the last five meetings between the archrivals. Brekke was the America East Rookie of the Week last week after scoring 32 points in two games and nailing six of 13 3-pointers.